Sarangani is very popular because of Gumasa Beach, a powder white sand beach in Glan. 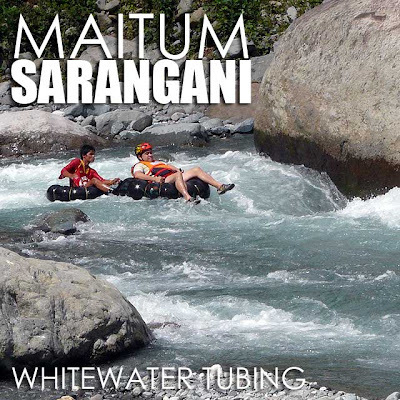 But on the opposite end of the province is Maitum, which has the Pangi River whitewater tubing, Pawikan Sanctuary, and a small museum dedicated to the anthropomorphic pottery that was found in Ayub Cave in Brgy. Piñol. 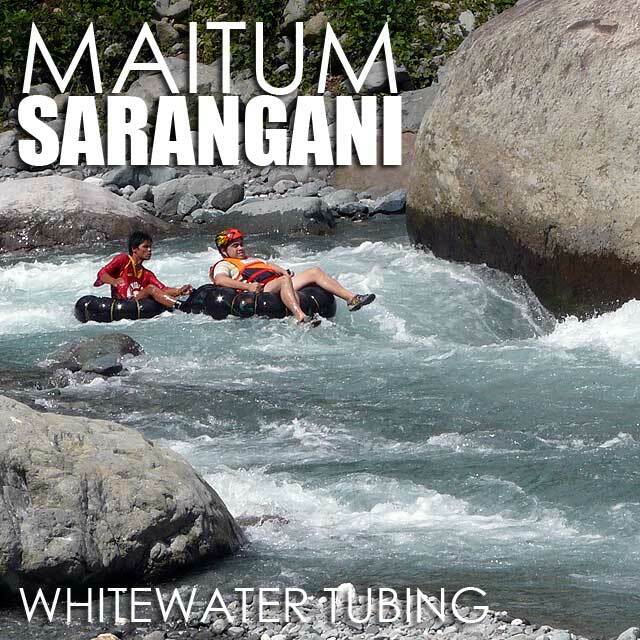 From General Santos, it's a three hour drive to Maitum. 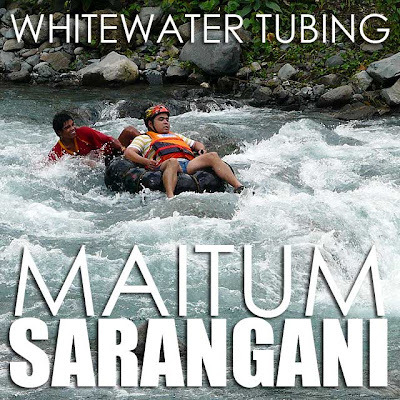 Unless you plan to stay overnight in Maitum, it's best to hire a vehicle going there since the Pangi River in Brgy. New La Union is several kilometers inland. Thanks to Go Sarangani Travel for arranging a vehicle for me to get to Maitum. It's a really scenic drive. As you cross over to Sarangani from General Santos, the landscape changes abruptly. The rocky hills with a sparse cover of trees actually reminds me of some areas in Spain. This rocky landscape slowly changes into green forested mountains as you move ahead towards Maitum. 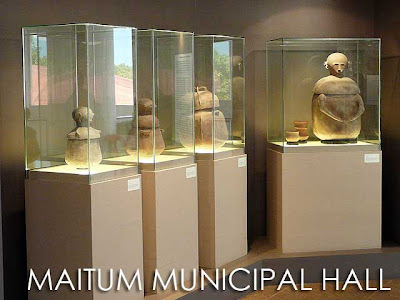 When we arrived in Maitum, we first visited the Maitum Municipal Hall where an exhibit of the Maitum anthropomorphic jars is located. 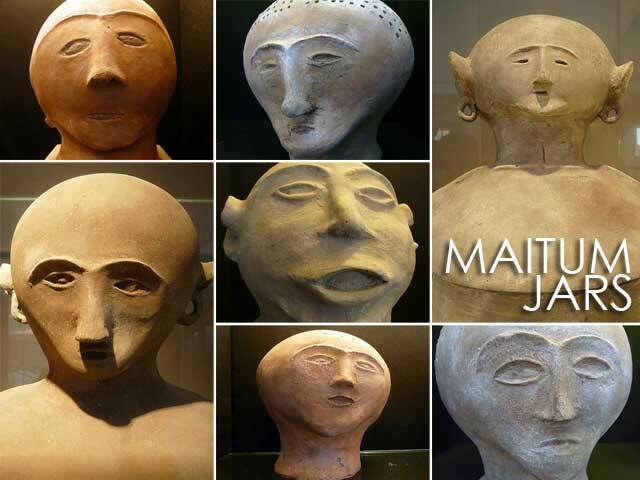 Although the pots on display are replicas, the exhibit done by the National Museum is very educational and worth the visit. 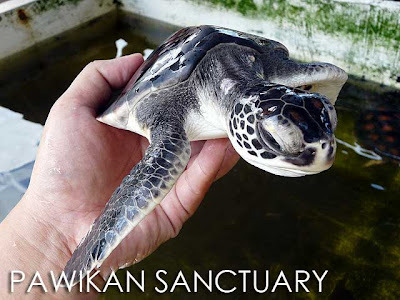 Before proceeding to the Pangi River, we dropped by the Pawikan Nesting Sanctuary in Old Poblacion. There were several hatchlings ready for release but since it was early in the afternoon, it was too hot to release any of them. Hatchlings are best released early in the morning or late in the afternoon. There were green turtles (Chelonia mydas), hawksbill turtles (Eretmochelys imbricata), and the Olive Ridley (Lepidochelys olivacea), which is also known as the Pacific Ridley. After the visit, we rushed to Pangi River in Brgy. New La Union for some whitewater tubing. I wanted to reach the jump-off point early in the afternoon just in case there were mid-afternoon rains that would fall that day. 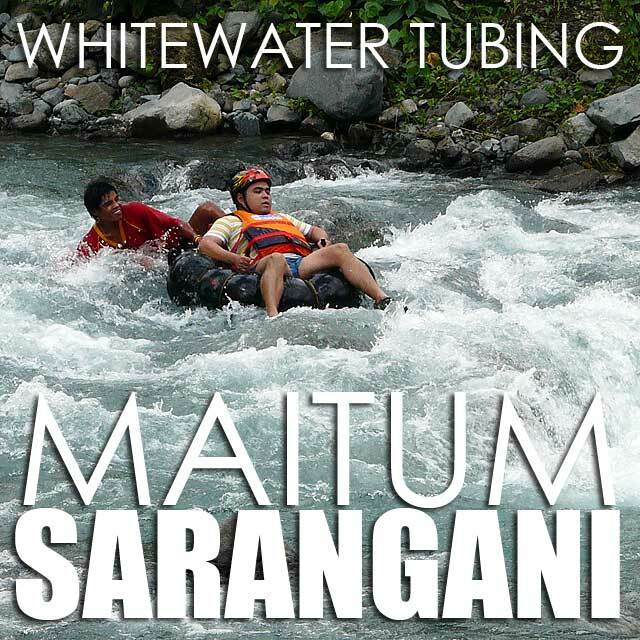 It costs just Php120 for a 30-minute run down a one-kilometer length of the river. There's a longer 45-minute run which costs an extra Php50 but you have to do this in the morning when the guides are still well-rested since it requires them to carry the equipment further up stream. Anyway, the only things they will advice you are to stay cool, not to panic, and to hold the handles of the rubber tube as tight as you can. This will keep you from falling off the tube. I did two runs and despite several near falls, stayed afloat because of my tight grip on the rubber tube handles. It would have been fun to go for a third run but it was another three hour drive to General Santos. More from General Santos in my next entry. it looks fun... i wish i have to courage to do it. Thanks for sharing this to us! astig the maitum jars! i ♥! They're replicas though. The real ones are in the National Museum. While some are kept in Maitum until the municipality can come up with a museum building separate from the municipio, a condition of the National Museum. Yeah I know. ;) They're really cool! They're my fave jars!